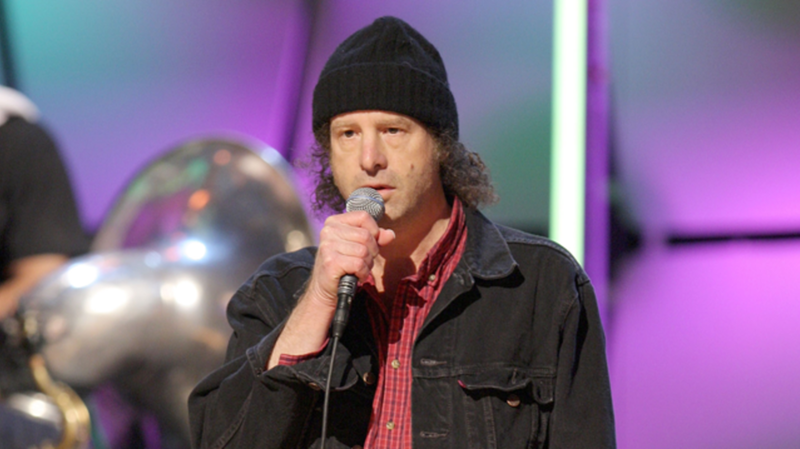 Don't get too excited, but today is the deadpan comedian's 61st birthday. To celebrate, here are 20 of his funniest jokes. 1. "It's a small world, but I wouldn't want to paint it." 2. "I almost broke both my arms trying to hold open a revolving door for a woman." 3. "I got a new dog. He’s a paranoid retriever. He brings back everything because he’s not sure what I threw him." 4. "Every morning I get up and make instant coffee and I drink it so I have the energy to make real coffee." 5. "Woke up this morning and folded my bed back into a couch. Almost broke both my arms cause it’s not that kind of bed." 6. "I’m going to get a tattoo over my whole body of me but taller." 7. "I went to a tourist information booth and said 'Tell me about some people who were here last year.'" 8. "I’ve been getting into astronomy so I installed a skylight. The people who live above me are furious." 9. "Why is it a penny for your thoughts but you have to put your two cents in? Somebody’s making a penny." 10. "I broke a mirror in my house and I’m supposed to get seven years bad luck, but my lawyer thinks he can get me five." 11. "When I get real real bored I like to drive downtown and get a great parking spot then sit in my car and count how many people ask me if I’m leaving." 12. "I spilled spot remover on my dog and now he’s gone." 13. "I’m writing a book. I have the page numbers done; now I just have to fill in the rest." 14. "When we were driving over the border back into the United States, they asked me if I had any firearms. I said what do you need?" 15. "I've written several children's books ... Not on purpose." 16. "I called the wrong number today. I said 'Hello, is Joey there?' A woman answered and she said 'Yes he is.' And I said ‘Can I speak to him please?’ She said ‘No, he can’t talk right now, he’s only two months old.' I said 'Alright, I’ll wait.'" 17. "I went to a place to eat. It said 'breakfast at any time.' So I ordered French Toast during the Renaissance." 18. "We lived in a house that ran on static electricity. If we wanted to cook something, we had to take a sweater off real quick. If we wanted to run a blender we had to rub balloons on our heads." 19. "I stayed up one night playing poker with Tarot cards. I got a full house and four people died." 20. "I was Caesarean born. Can’t really tell, although whenever I leave a house I go through the window."